Posted on May 15, 2017, in Uncategorized, WWII and tagged 1940's, Army, family history, History, Leyte, Military History, Pacific, Pacific War, veterans, WW2, WWII. Bookmark the permalink. 97 Comments. Reading this, it’s hard to believe that the war still had another eight months to go. Japan was still a formidable enemy even at this point. Yamashita saw that Leyte would soon fall, so he backed up to fortify Luzon. 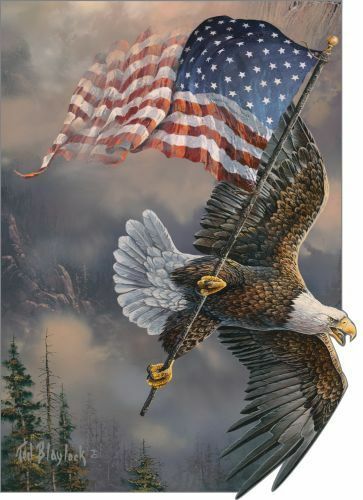 From here on out, each new battle becomes the next “last stand.” But I understand what you mean, their Navy is about shot and the Air Force nearly gone from the Pacific. Imagine if they had surrendered at this point. No Hiroshima, no Nagasaki. So much wasted life to come on both sides. Thank you, as always, for all your help. Wow, so interesting. My grandpa was in the Phillipines during World War II. Thanks for sharing a little bit of his personal history with me. I have so many people tell me that. I take it your grandfather didn’t talk much about the war, but did he happen to mention anything you can share with us? I’m thrilled to hear THAT!! Thank you. Interesting article (1942) regarding the damage the weather caused! Its easy to forget about the danger of nature, when reading about the combat situations. Very few back then knew about the Pacific – there were many more dangers besides bullets out there! Looking at the Anzio snap … there’s ‘nonch’, and there’s foolhardy. 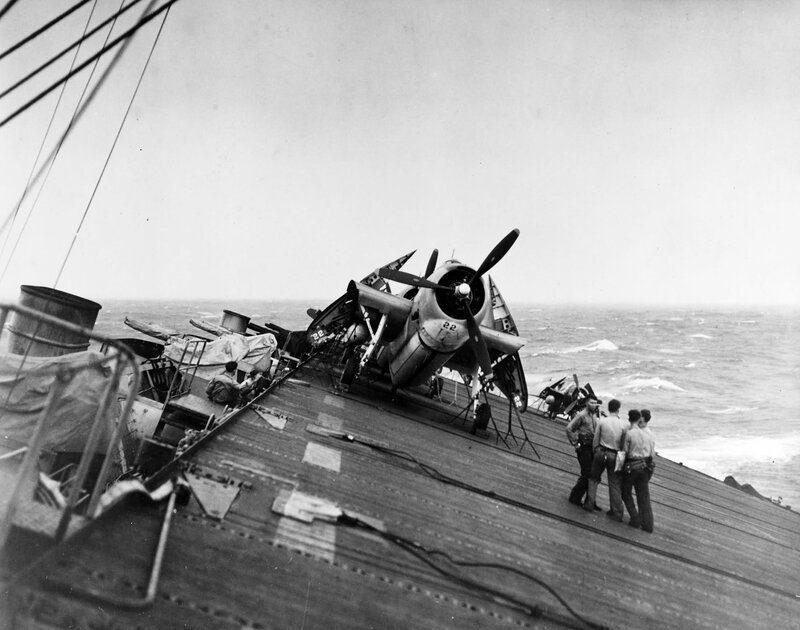 Those guys would have been well advised to use lifelines … but it probably helps explain the losses 0f men to typhoons. The original caption said ‘during’ the typhoon, but further analysis of the surrounding weather appears to be ‘after’ the typhoon or it was just about to pass. Perhaps in the eye of the typhoon—been through quite a few, but only once bothered going out on the upper deck whilst in the eye—it was weird, the air absolutely still, the seas wild, no horizon and everything tinted coppery. Yes, you could be right. I’ve only been through one eye – and I agree – weird! I felt like I was in a vacuum. The humor helps the moral of the military – and it seems to be a moral booster here too! Glad you liked it! I wish I had the computer time to comment on everyone’s posts, but it just isn’t possible. Appropriate and heartfelt comment, thank you. Thank you very much. A part of history rarely taught about in school. No wonder I have so many European followers!! Thank you for telling me. I appreciate the encouragement, John. I shall leave your comment here for the readers to view. Hopefully it will find someone in need. Could my original comment please be removed? Thank you. It is done. Have a nice day. December ’44 was the official month in which the Japanese government declared my uncle KIA. They documented an area near Mt. 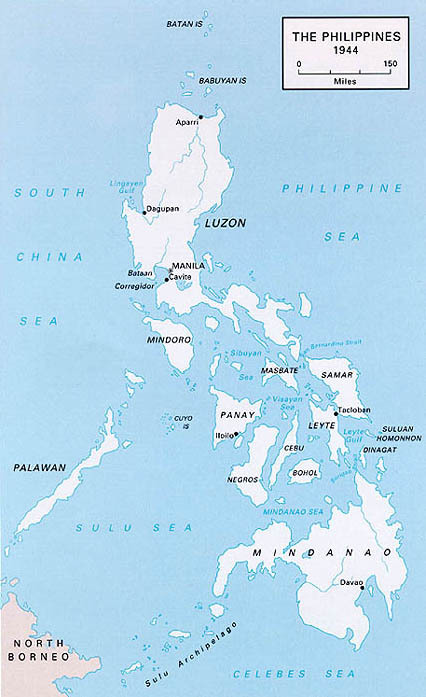 Canquipot and Villaba as his place of death, just across from Cebu. May all who perished be at peace. I couldn’t remember exactly when you had said he died, thank you for adding that here. This war, [as all wars I suppose], no one actually wins – it’s a matter of who lost more. Very sad situation for all concerned. Thank you for taking the time to visit, Koji. When you get a chance, let me know how everything is going. And how are the kids? The typhoon did a lot of damage to the US naval forces, but it did not save Japan from ultimate defeat, like the British were saved by a terrible storm storm from the Spanish Armada in 1588. Right! 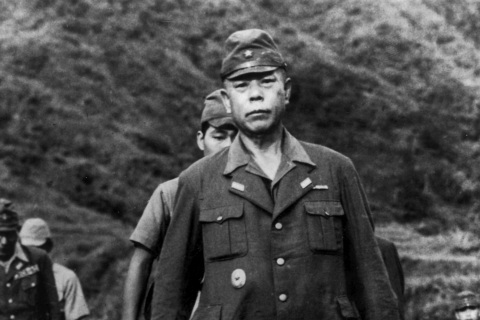 Japan’s history tells of them being saved from invasion by a storm, but no such luck here. Japan is a country surrounded by the sea and has long been a faith “Shinto” that God lives in all things. God, wind, others … Such like Kamikaze pilot naming. If you have the opportunity, please come to Japan. I’ve always wanted to see Japan, quite a bit of the Pacific actually, but money has always been the problem. Having to go to War would be bad enough. But who would expect a typhoon? Or drowning? I know, right?!! And this sure isn’t the only one. Makes you wonder just how much can be thrown at them!! 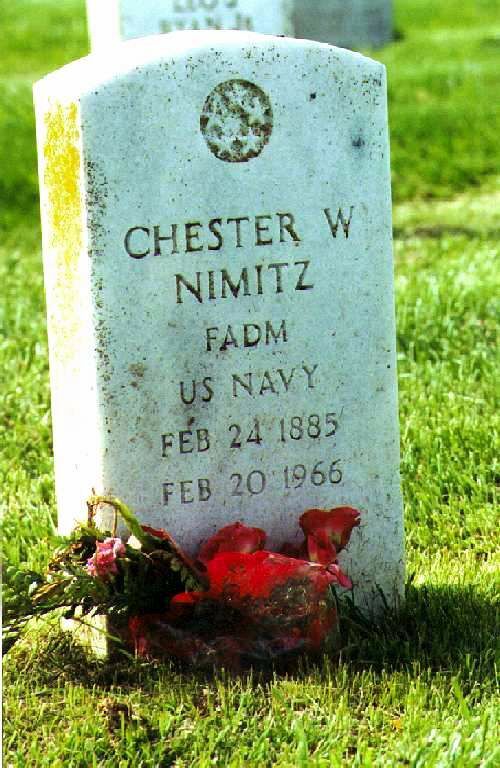 Admiral Nimitz was a gem of a commander. Unlike MacArthur, his rank never went to his head. He never forgot that he had come up through the ranks. He could have been buried at Arlington, but instead, he along with his wife, Catherine and Admirals Raymond Spruance, Kelly Turner and Charles Lockwood (submarines) and their wives, chose to be buried among the ranks who served with them in the Pacific and using the same tombstones as the ranks in the military cemetery at San Bruno, California on the San Francisco peninsula. The end result though, together they won ! MacArthur, I’m afraid is not in Arlington either, despite having passed away while in Washington D.C.
Did you ever hear about Nimitz introducing Mac to Halsey? He said he held his breath because of what he expected would erupt between 2 men with such strong personalities, but within 5 minutes they were acting like lifetime pals! I don’t recall having read that! Yes, if I had been Admiral Nimitz, I would have stepped back, too, expecting fireworks or worse! Thank you for letting us see the real deal. I do have to apologize every now then to everyone because I simply can not put everything going on all in here – boy would I love to though!! I bet you would like speak openly. The truth is always necessary though. These blogs give you a ton of room, but I’d need a few blogs to put all the stories in!! It doesn’t surprise me that there are that many stories that need to be told and heard. hahah, cute one! I was just telling DC Gilbert that I bet that silversmith sure made some great brownie points with the general on THAT one!! I like these little snippets of trivia happening in the background. My dad, B Company 511 PIR, I think was on a ship when a typhoon hit and he saw a ship lost. If your dad was in the 511th, he went through the typhoon, but on land. As part of the 11th Airborne Division, he was fighting on Leyte, just as my father was at the time in 187th. If he was on the coast during the storm, I’m sure he did see a ship go down. Any stories you recall your father telling you about the war, please feel free to share them here. I’m sure that fella earned a bunch of brownie-points with the general, eh? As always, an interesting post. I wanted to let you know that we lost my father, Ralph Pierman, last week. 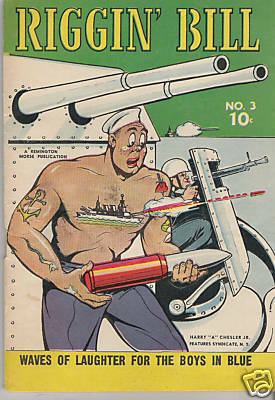 He served in WWII in the US Navy from 1942-1945 as a Carpenter First Mate. 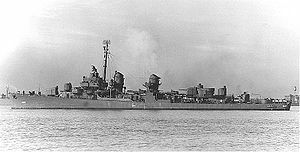 He earned 3 bronze stars and his ship earned five battle stars. I am very sorry for your loss. We are losing that irreplaceable generation all too quickly! If you can give me his hometown or just the state, and/or the ship’s name, I would be honored to put your father in the next Farewell Salutes. If you know which theater of operation he was in, that will be added. 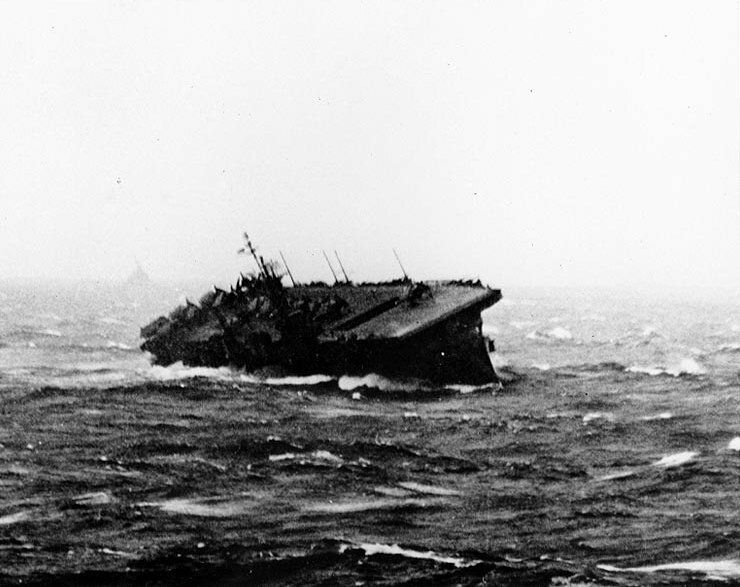 Shawnee, OK ship was LST-471 in the South Pacific. 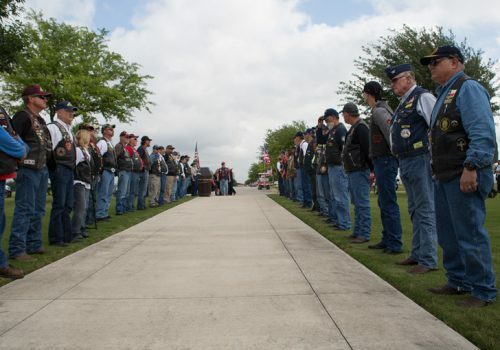 Thank you so much for honoring all those brave men. We are losing the greatest of all generations. In this modern age how on earth can there be six missing in Iraq. The remains were not located as best as I can tell. They don’t teach much of this in school, so I thank you for reading it. Then I’m very glad I learned about WordPress!! Great to see the honor and respect!! Clarence Simonsen shared that story. She used Lynn Garrison’s poem as an eulogy. That’s the pilot Clarence Simonsen has done research on. Nadine Carter is showing what future generations will do to preserve the past. These are the ones we should hear more about!! There’s a lot of reflecting to do about the story of a young girl finding the unmarked grave of a war hero… This teaches History a lesson. Future generations will also reflect on what is happening today in our world and hopefully learn lessons about it. Very true. I not only hope this young girl receives some recognition for her efforts, but also like you, that others learn from her actions. As a footnote to all this… I know there are a lot of Nadine Carters out there. We know that, but the news media doesn’t seem to think that sort of story will sell – sadly said! This post reminded me of how many men were lost to things other than fighting. Drowning in bad weather, starvation, and disease. So many lost, the sheer numbers begin to weigh you down after a while. Believe it! Frankly, I’m surprised so many are still with me reading all these numbers. I can only hope it means they respect the sacrifices. I know I do, GP. The numbers missing always give a jolt to the heart. Being as the advancements in DNA research, more of our men are returning home for burial, but I could not omit those still out there. Thank you for coming by today, Ann!! That’s good to know that the numbers of the missing decrease as time goes by. Our wars are plentiful, but smaller and the locating devices improved.